Hi! Thanks for joining me for this week’s Hangout & Paint. 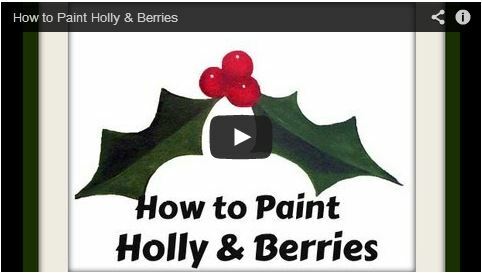 Tonight I’ll show you a couple of easy ways to paint holly & berries – perfect for decorating or handmade gifts!